Social media is one very important market place for online store and other products. This is where we can connect to our customers, fans, followers and networks. It is important that we keep it updated to keep our network of customers engaged and well-informed. In a business perspective, adding updated photos to it is not as easy as it seems. There are photo dimensions that we need to adhere in order to get the optimum display result. It is important that your photos are displayed perfectly as this would appear as your visual image to your customers, followers and other networks. Good thing we have this Ultimate Cheatsheet prepared for your guidance and reference. 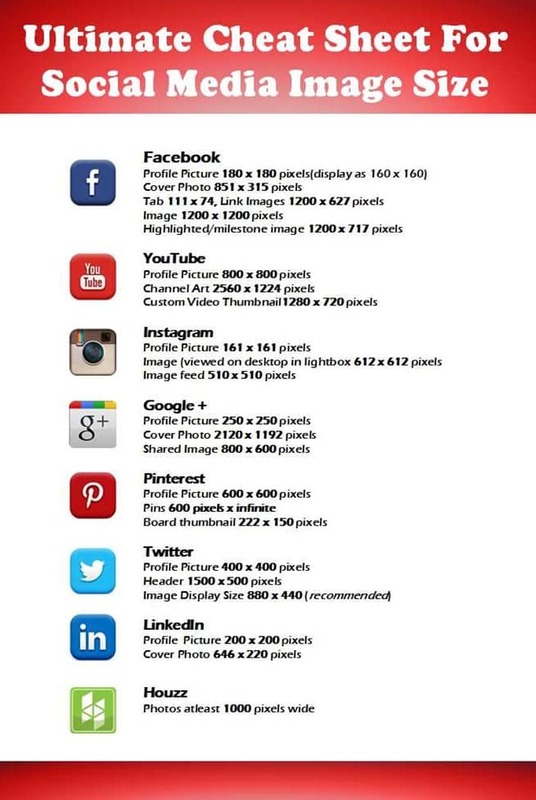 Listed are the photo dimensions required for each social media and image types. Note: Each social media updates its image standards from time to time. Data is the latest as of 2014.